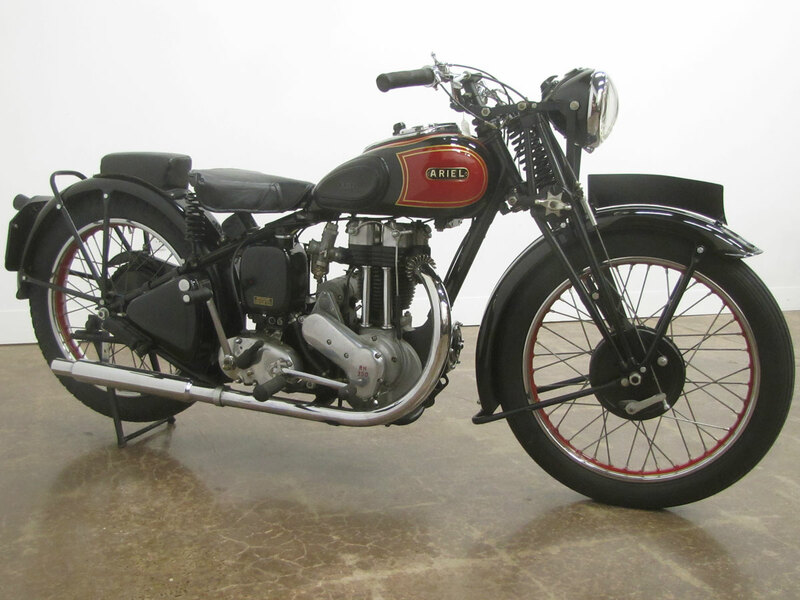 Once described as “The Most Exclusive Motor Cycle in the World” the Ariel Red Hunter was indeed the precursor to the world’s most famous trials bike – 11-time successive British Trial’s Champion Sammy Miller’s 1962 Ariel HT5. 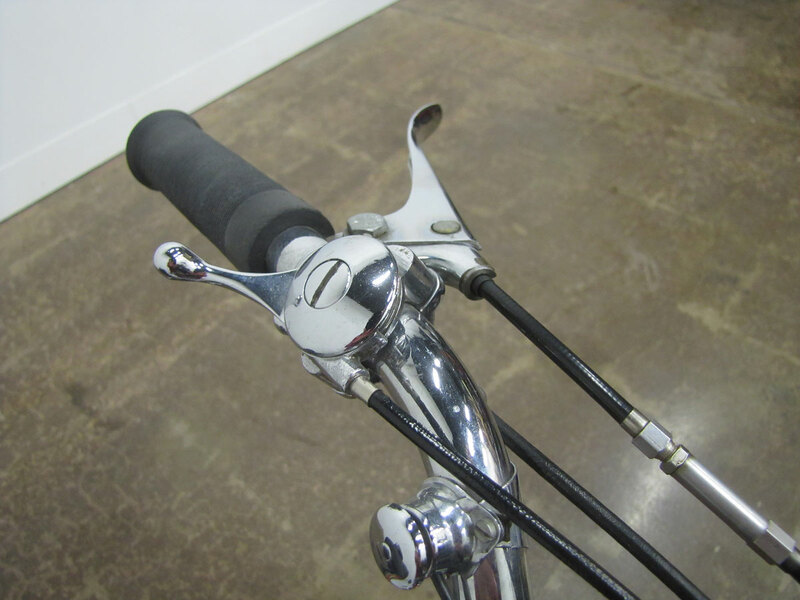 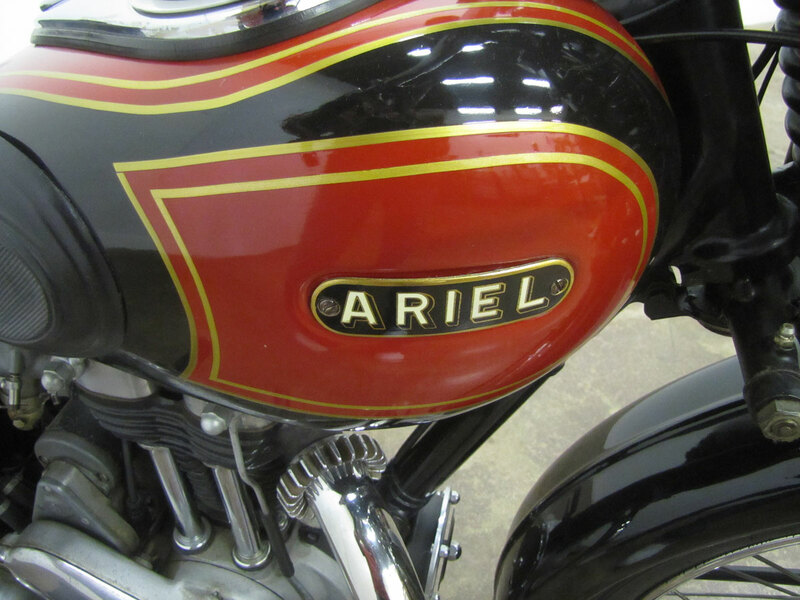 The Ariel Cycle Company was formed in 1897 by the Dunlop Pneumatic Tyre Company, originally of Dublin, Ireland, to make bicycles. 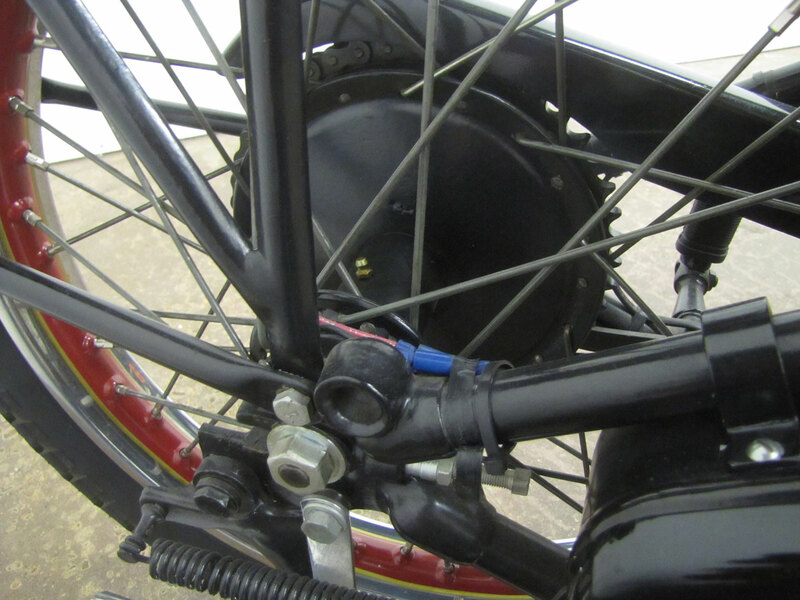 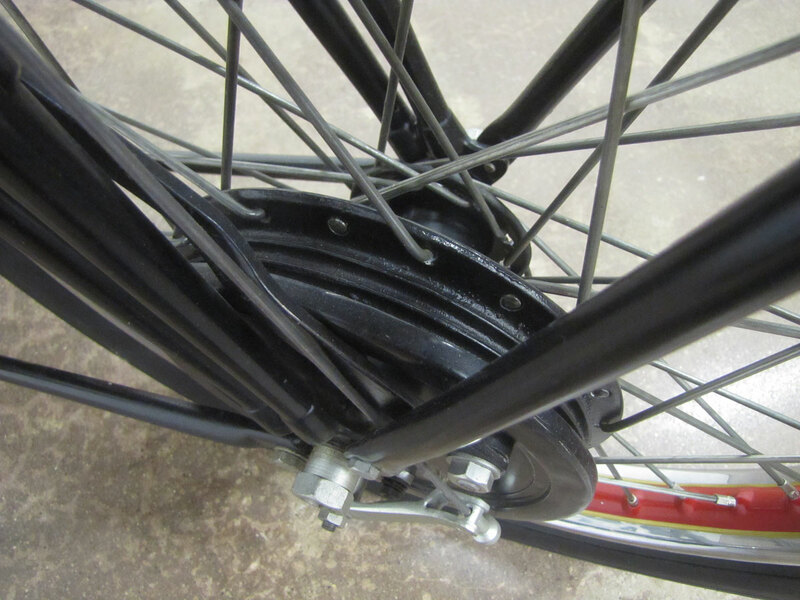 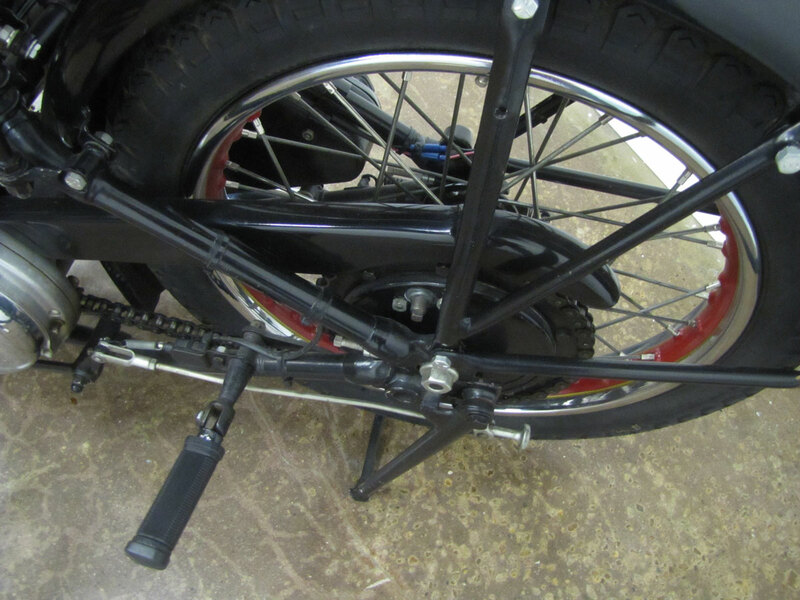 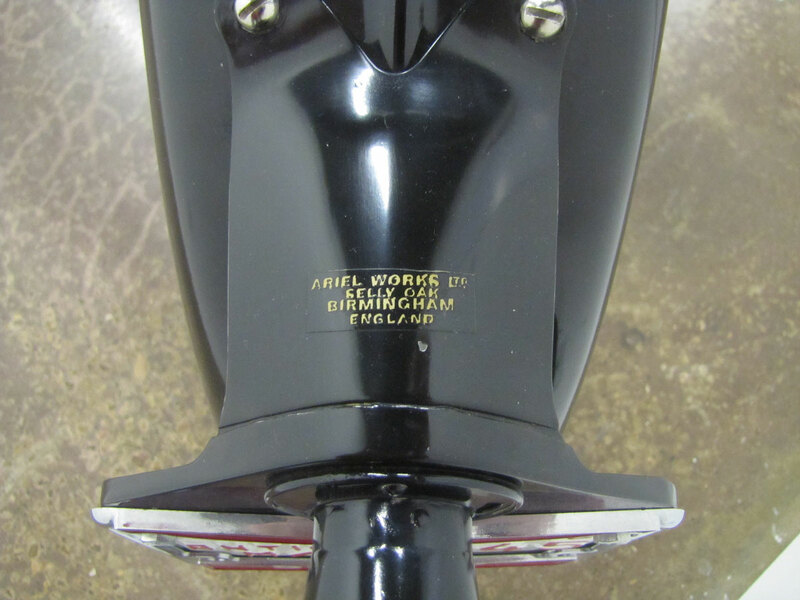 Charles Sangster of Cycle Components in Selly Oak, near Birmingham, England, bought Ariel shortly thereafter and first used the name on a tricycle. 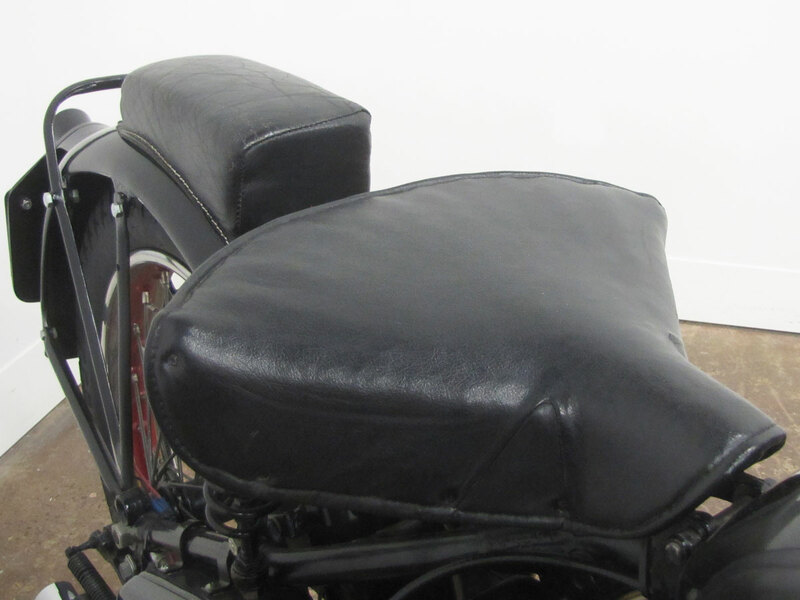 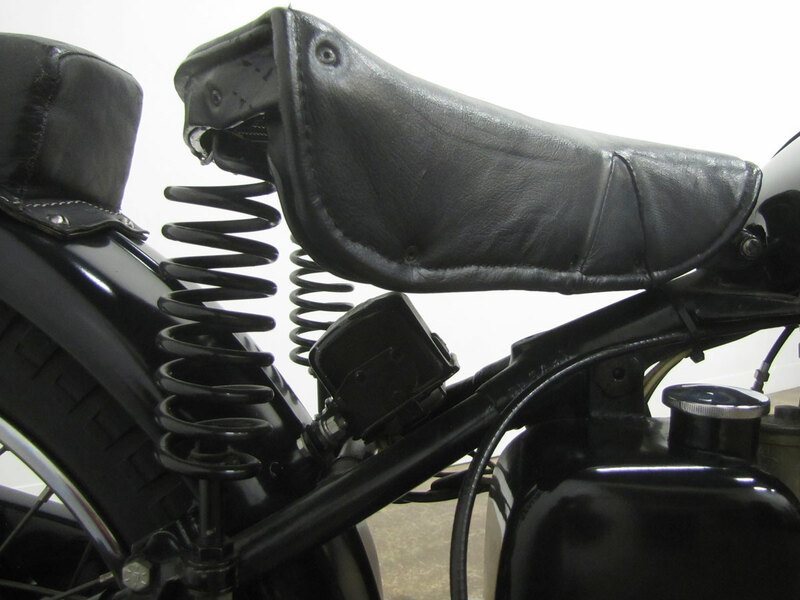 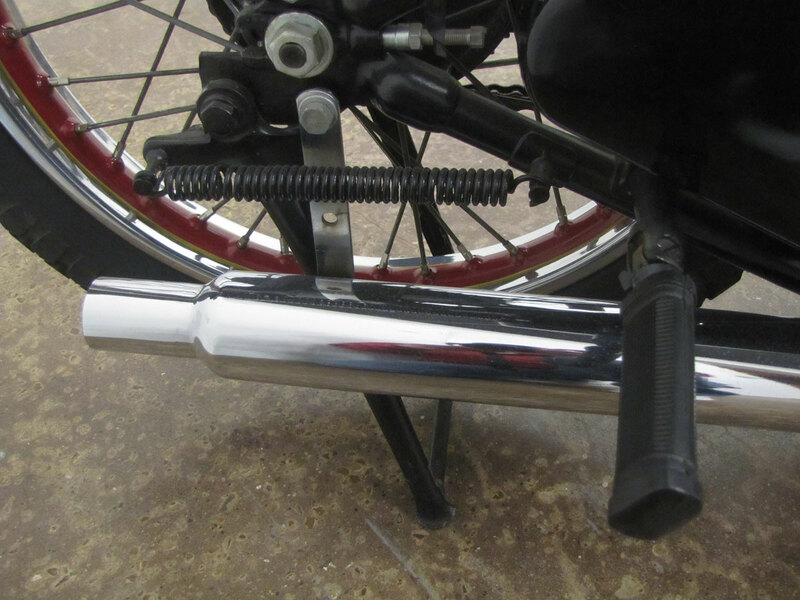 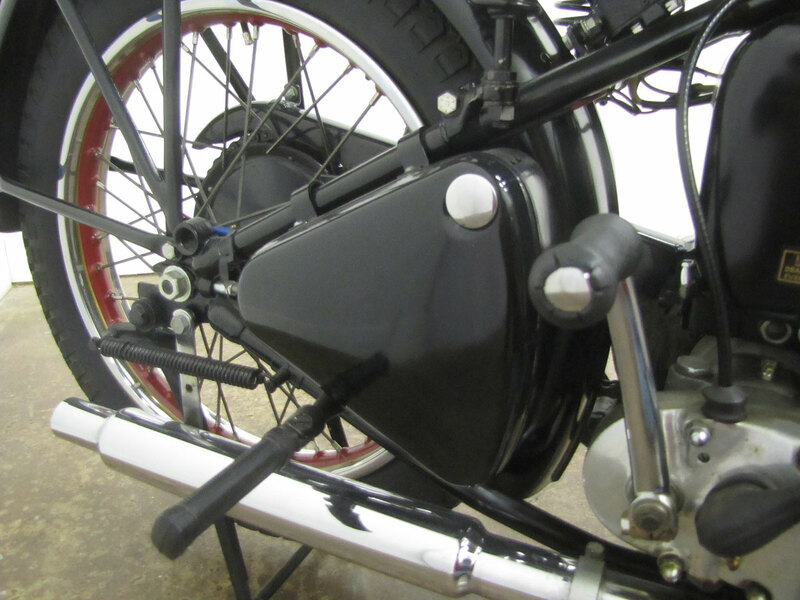 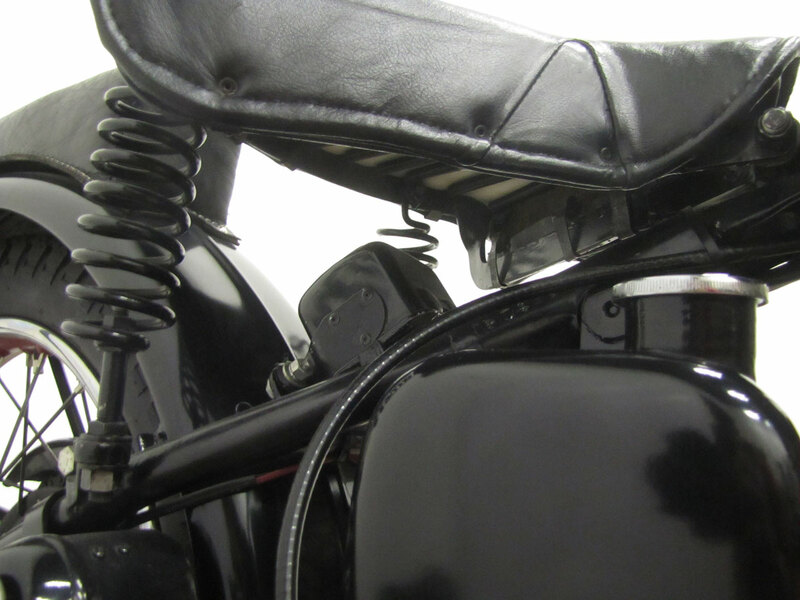 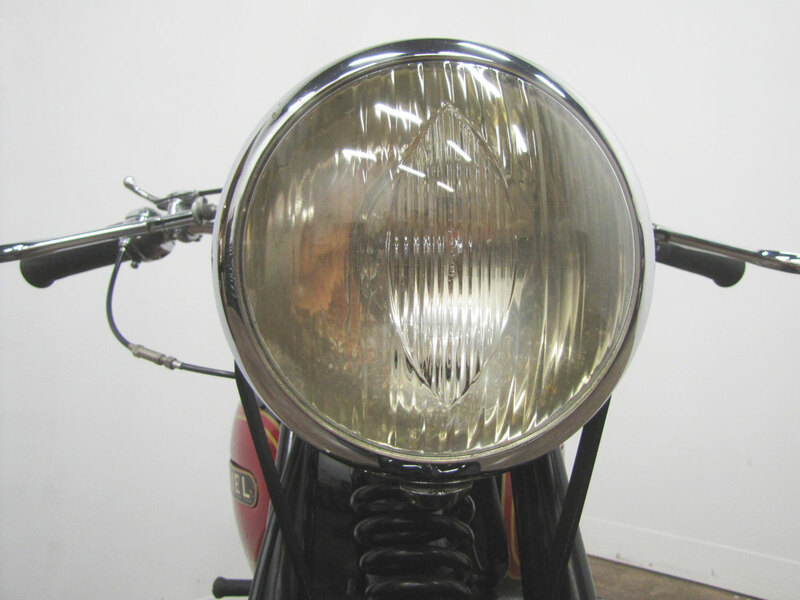 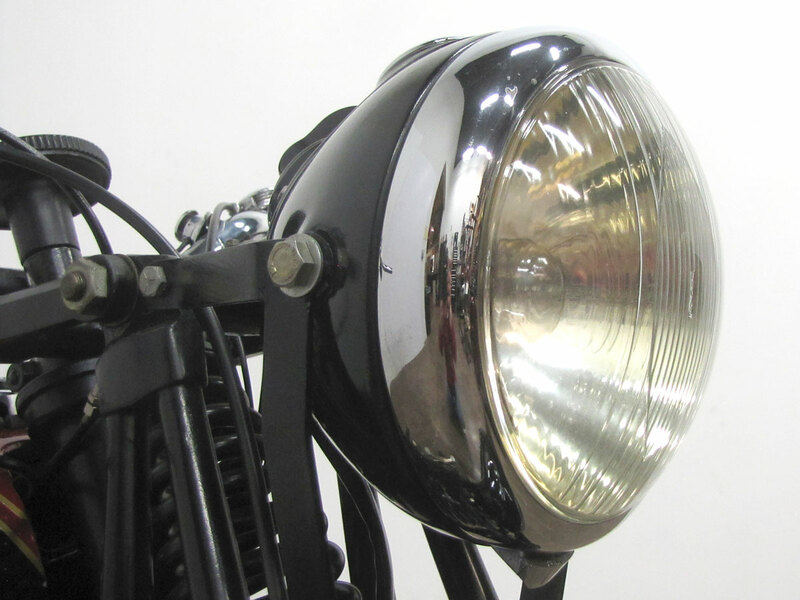 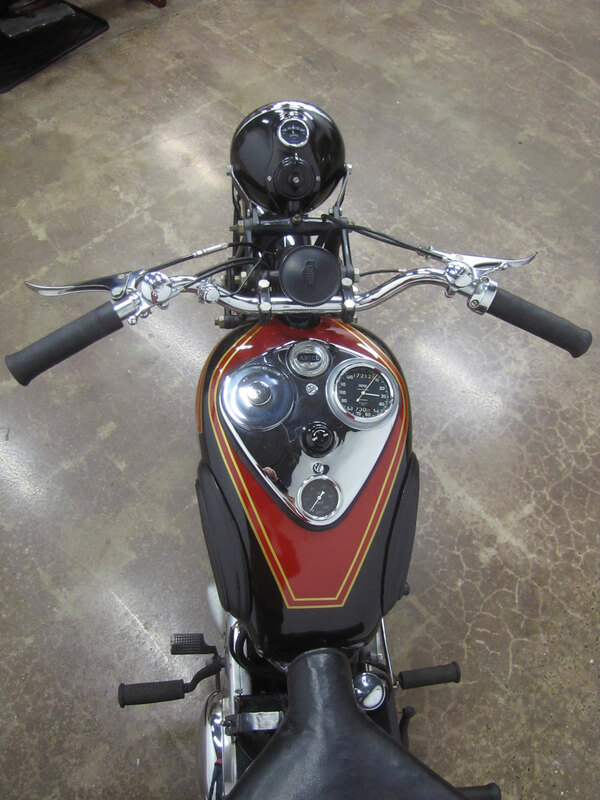 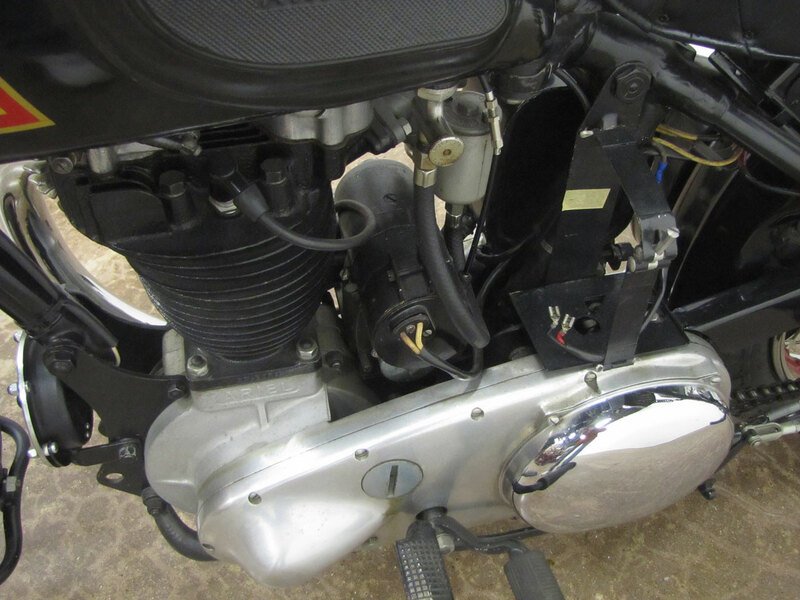 Motorcycles soon became part of the product mix. 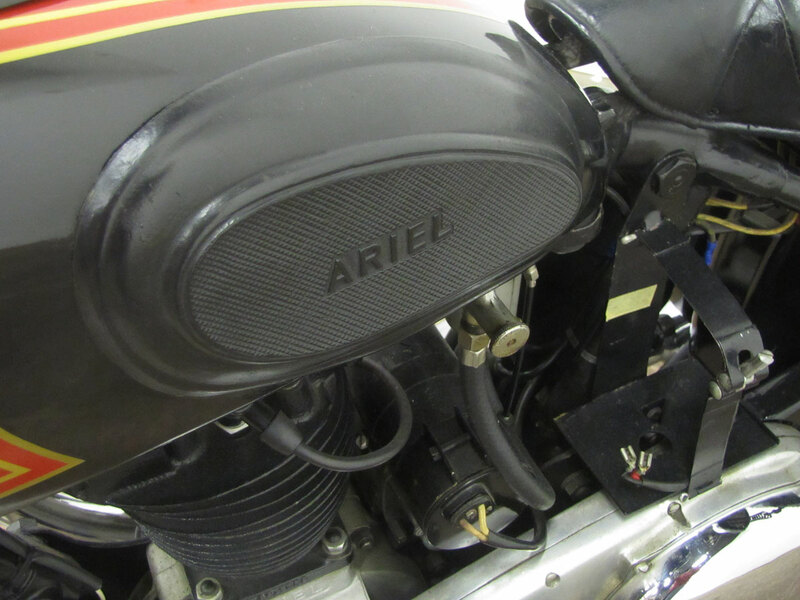 Ariel wisely hired a number of British motorcycle visionary engineers and designers – Val Page, Vic Mole, Bert Hopwood and Edward Turner to name a few. 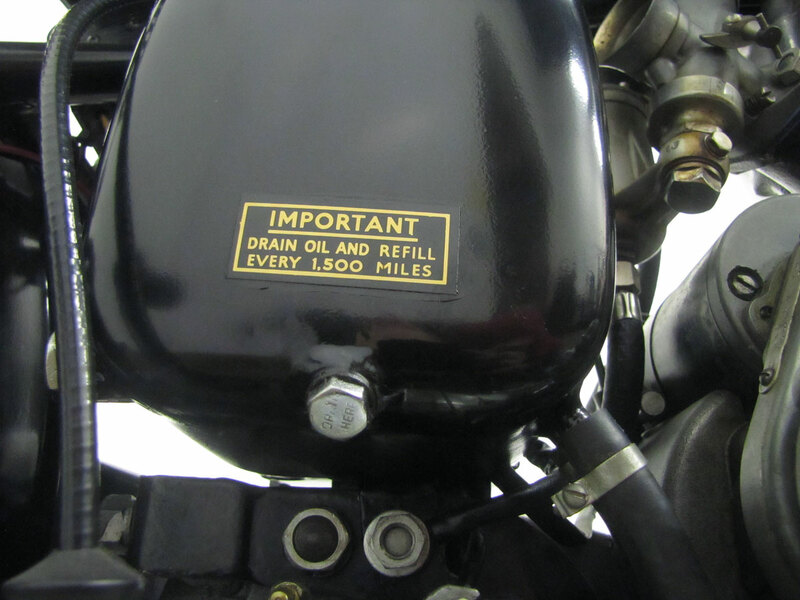 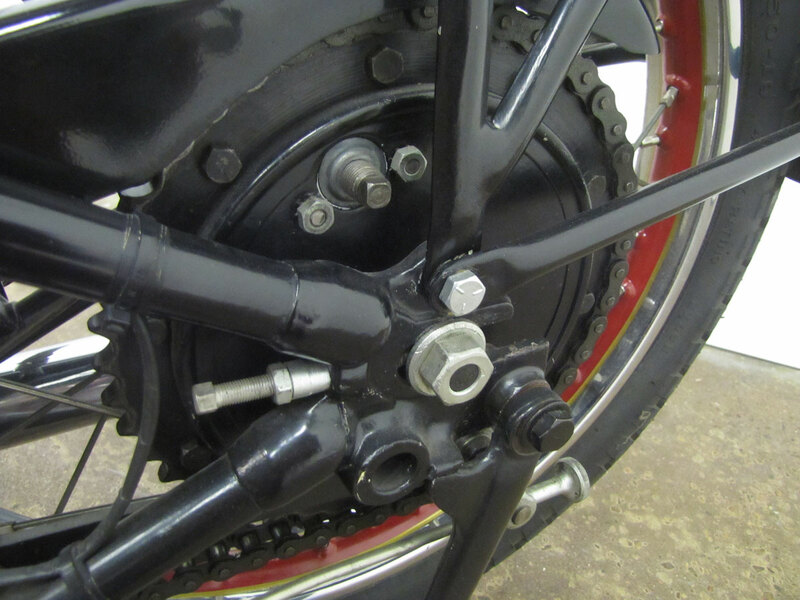 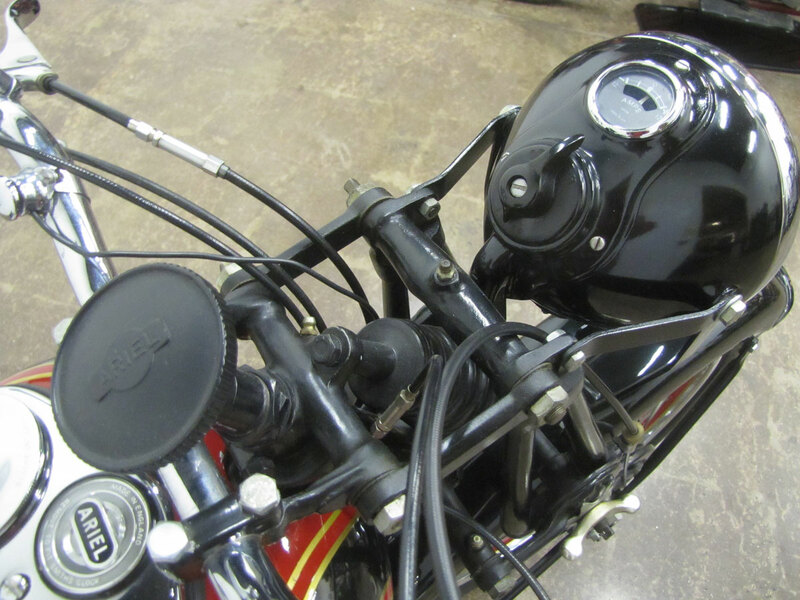 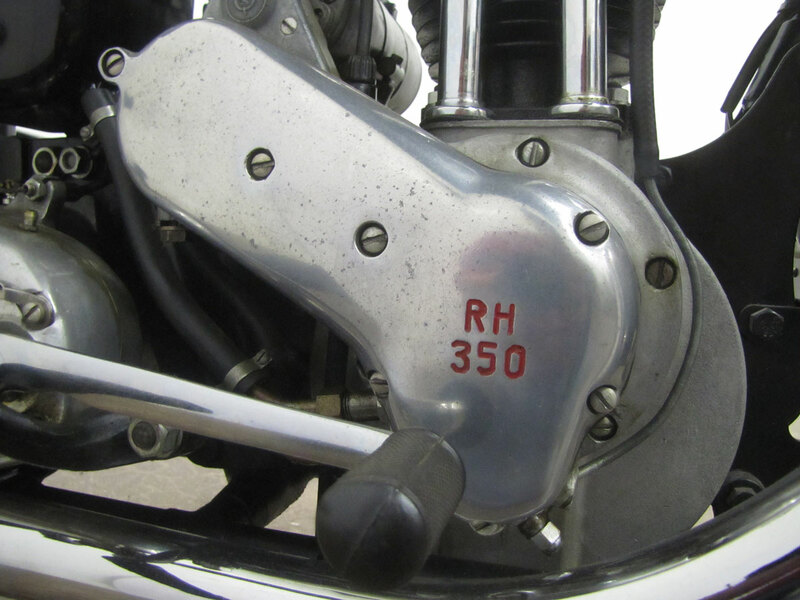 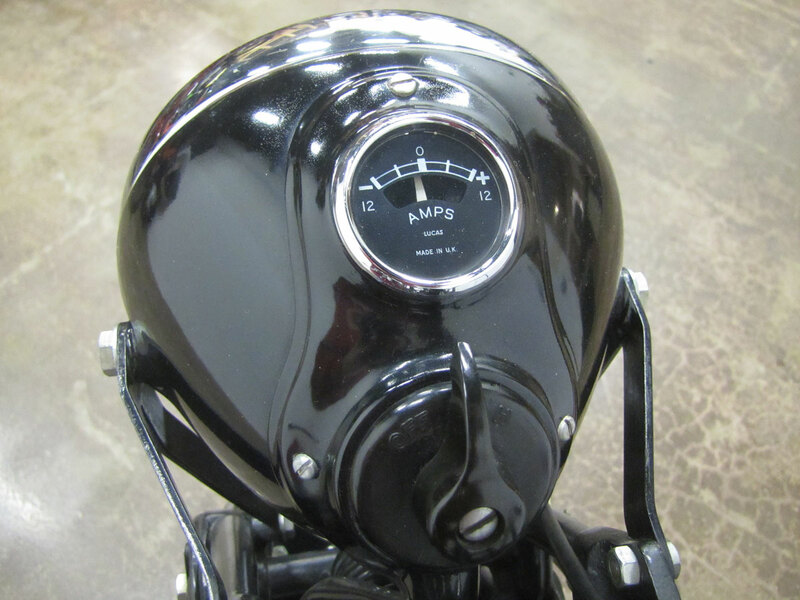 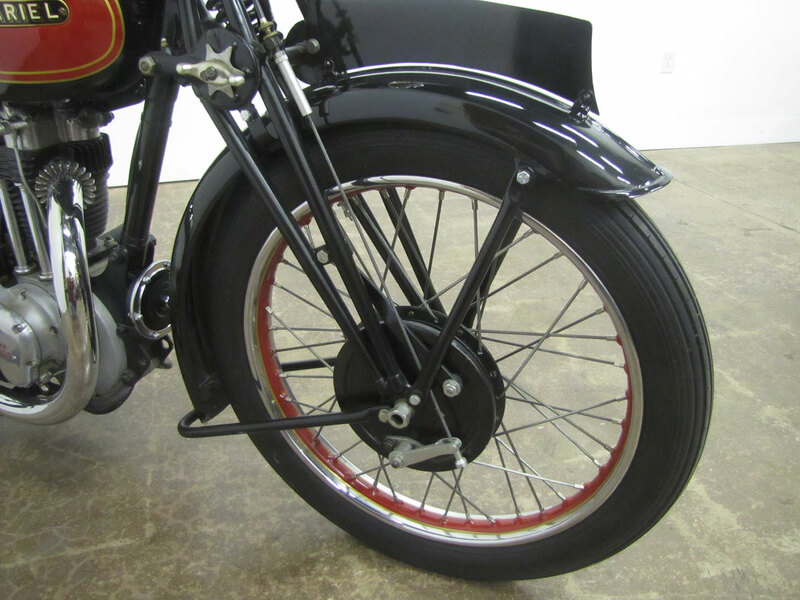 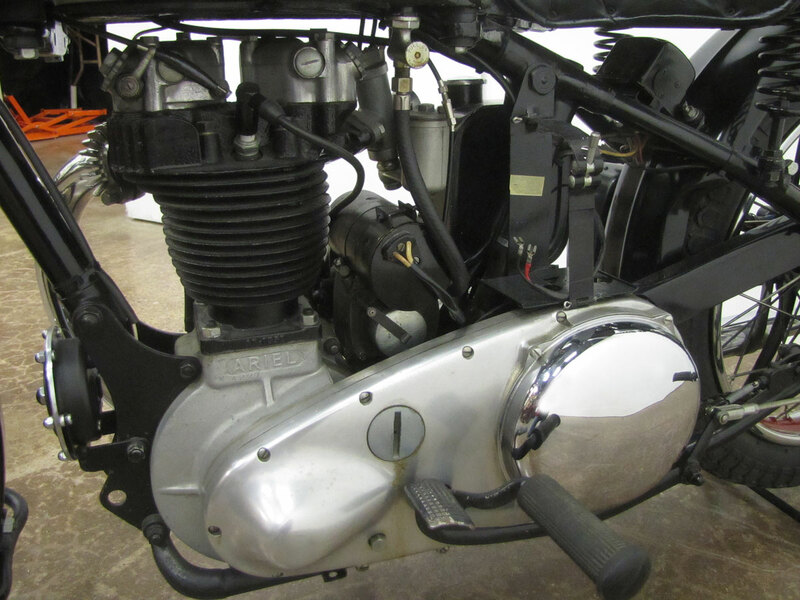 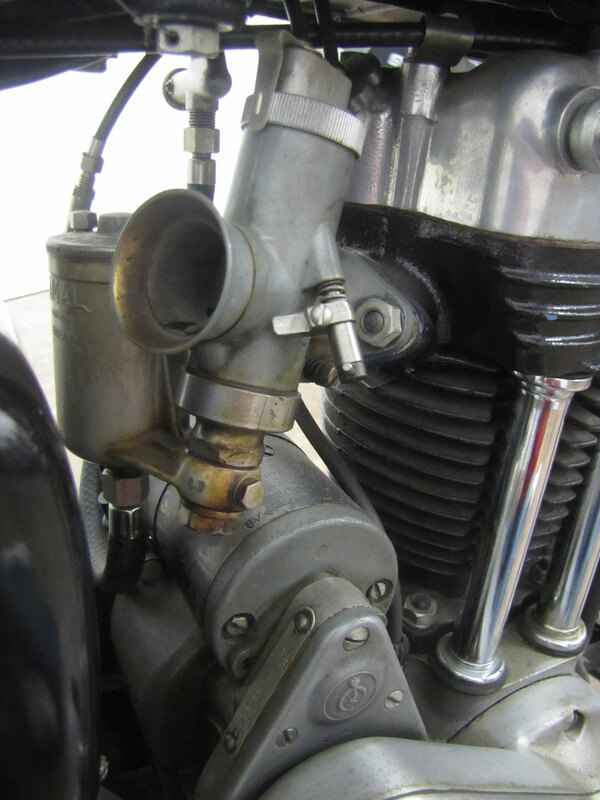 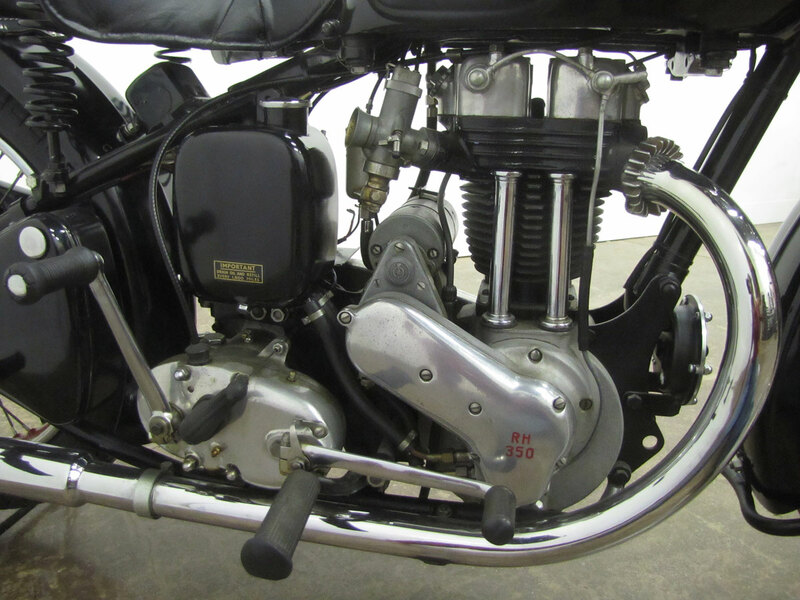 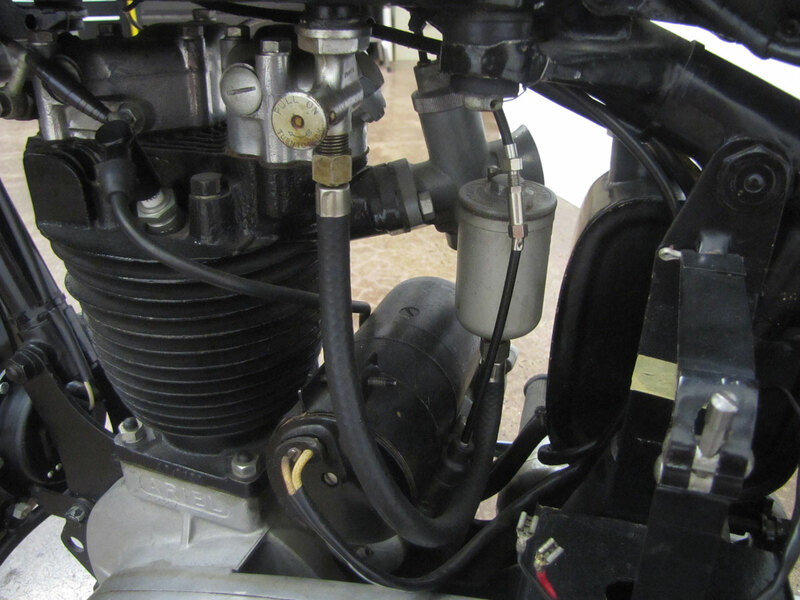 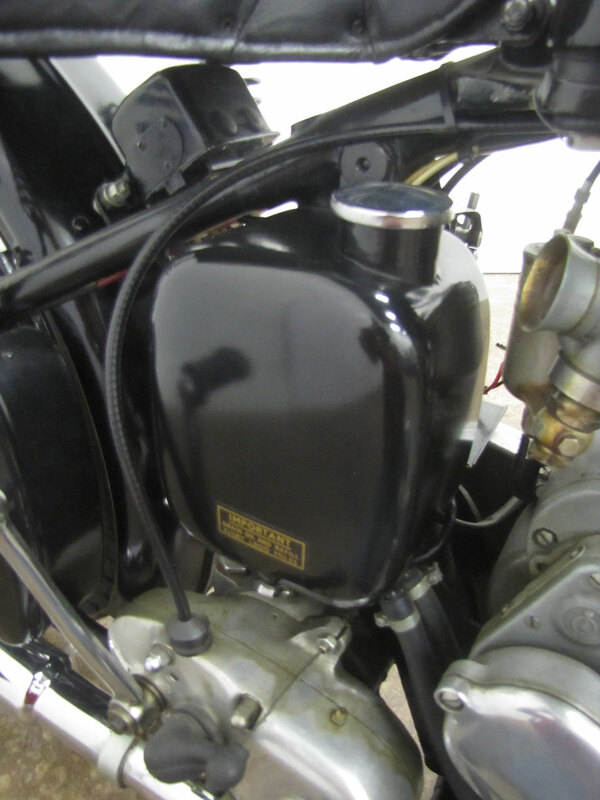 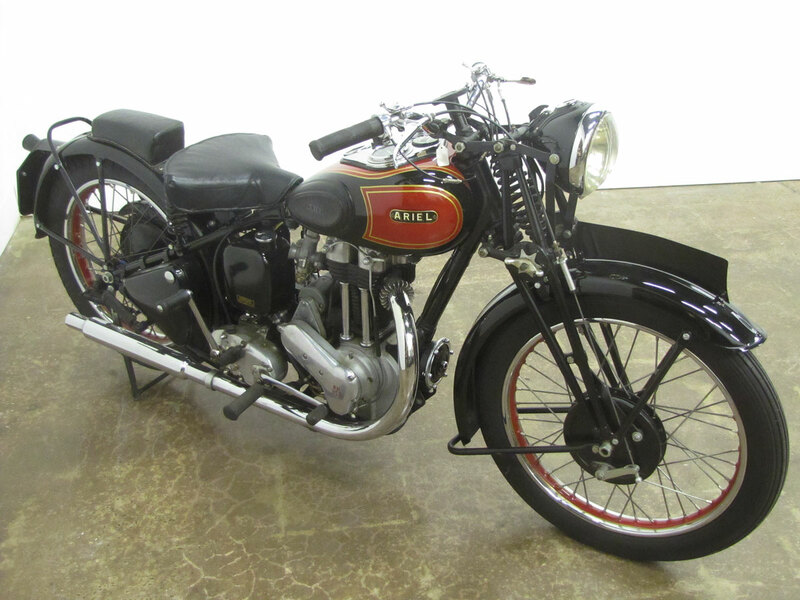 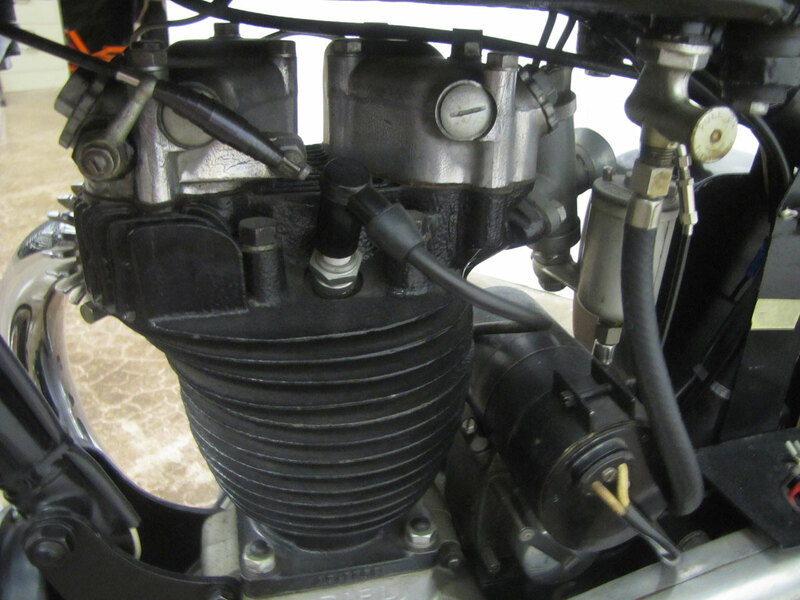 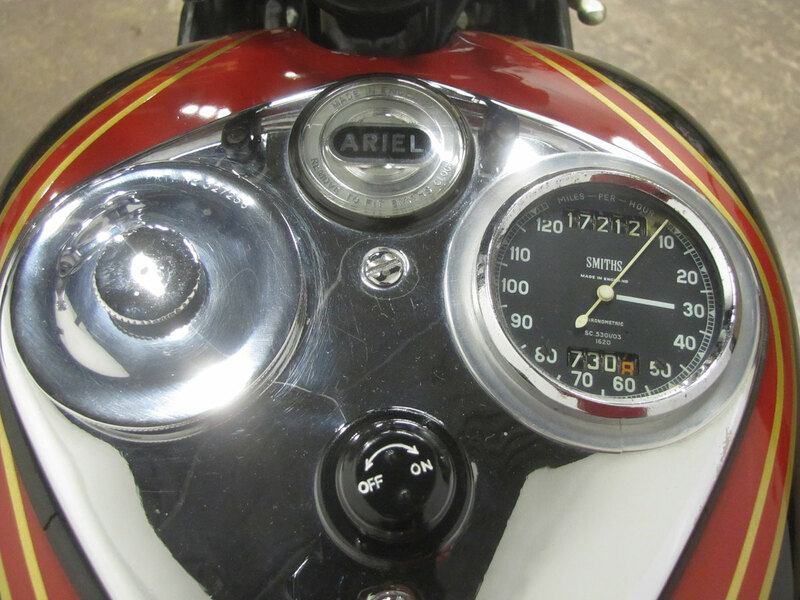 It was 1932 when for the first time the name Red Hunter was used to describe Ariel’s most sporting overhead valve 250 OH, 350 NG and 500 VH 4-stroke singles. 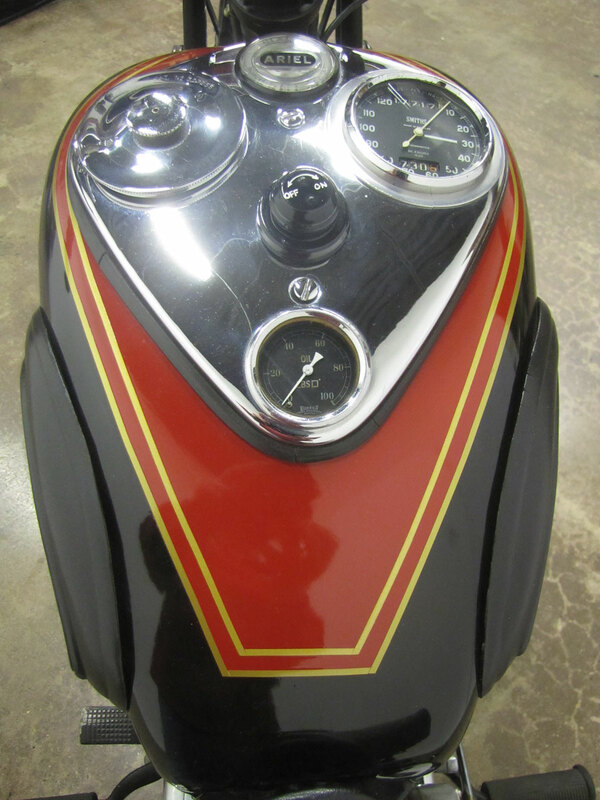 This Val Page design, with the magneto behind the cylinder, had lustrous red gas and oil tanks and decoratively striped chrome plated rims. 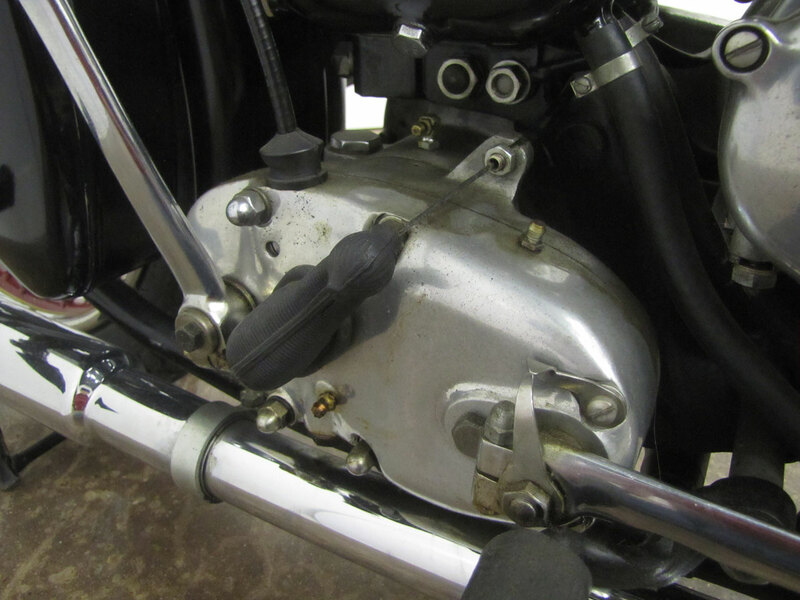 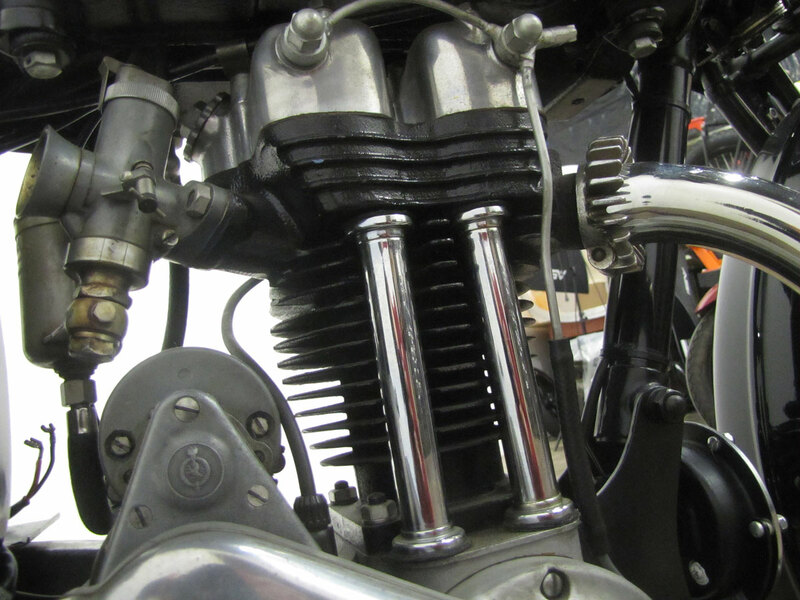 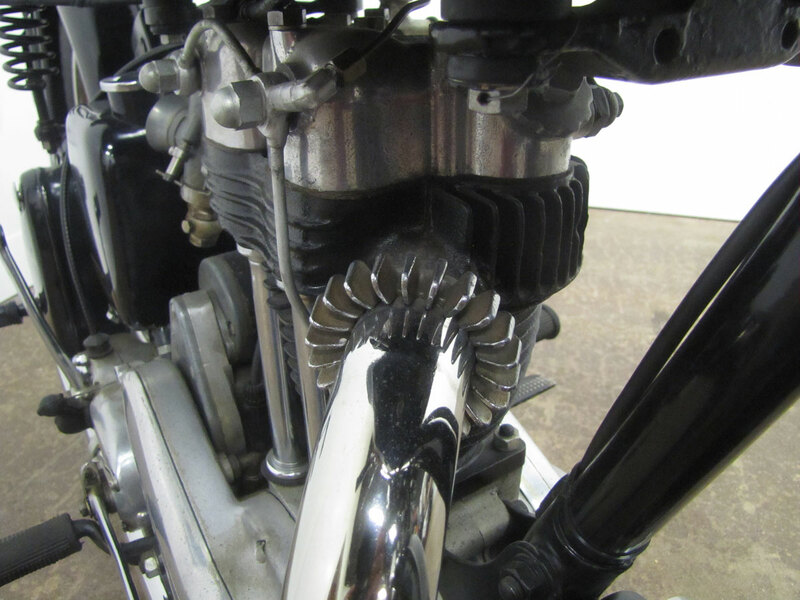 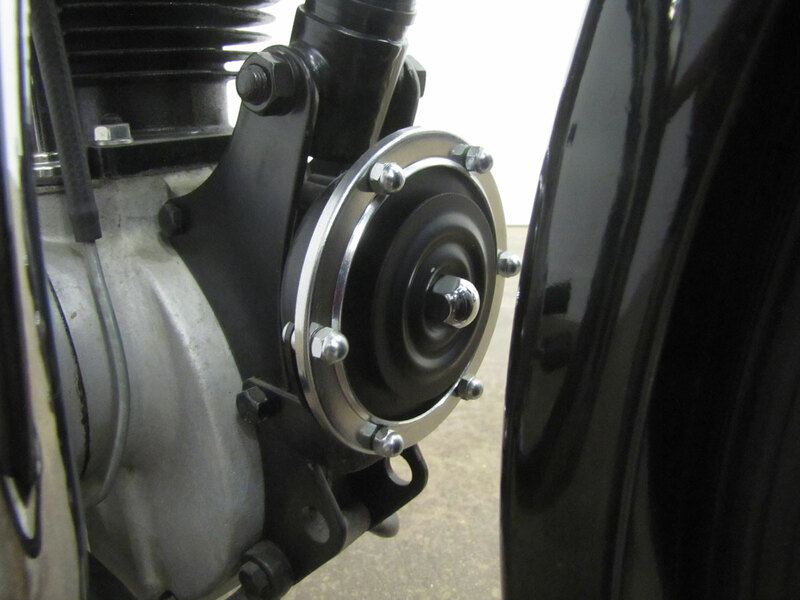 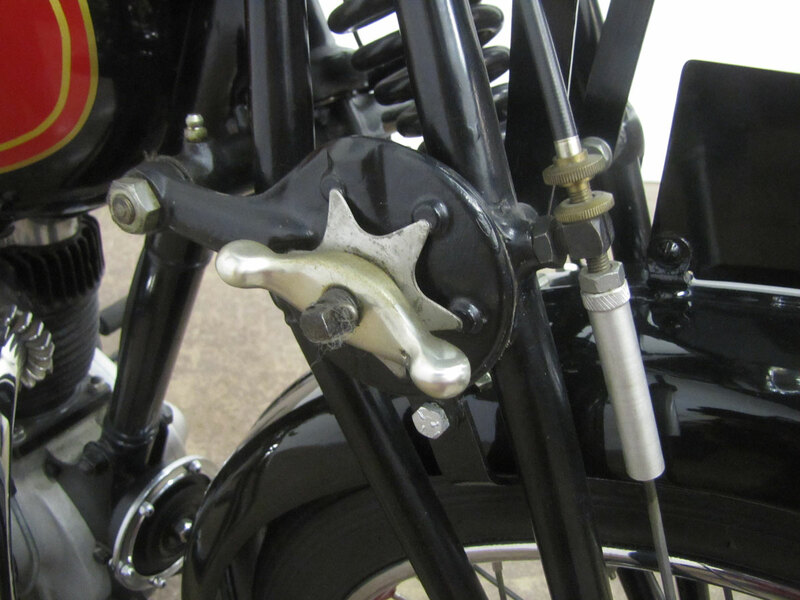 Little changed in the engine for 30 years although telescopic forks were added to the chassis in 1946 and an alloy cylinder head was added in the 1950’s. 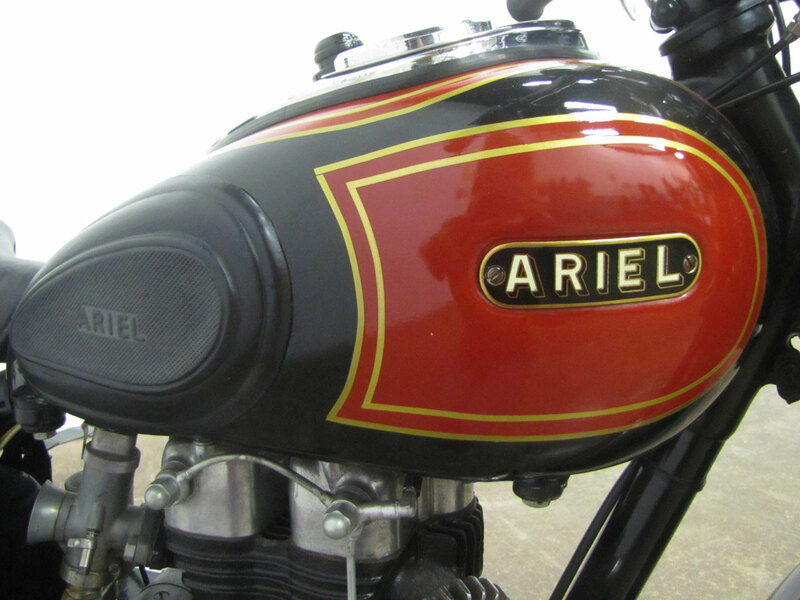 The Red Hunter range is perhaps now less celebrated than the iconic Ariel Square 4 range but is arguably the better, more durable machine. 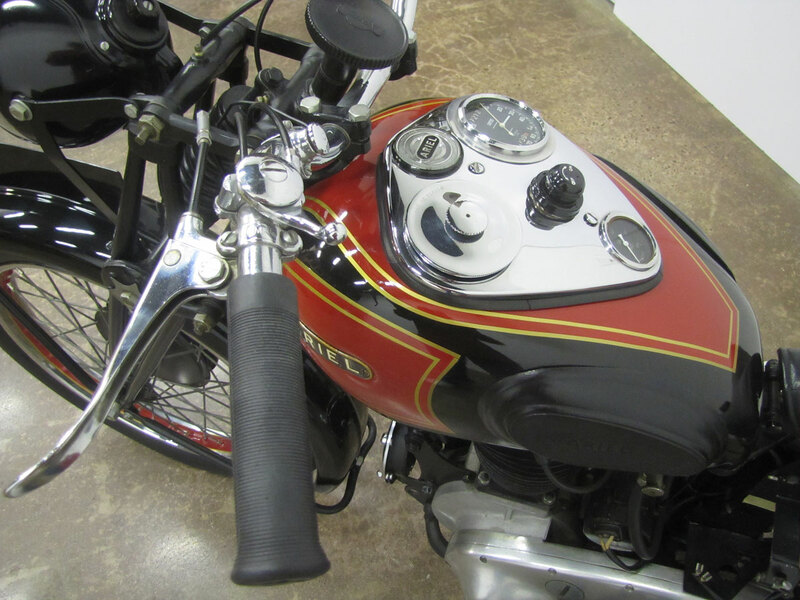 The Red Hunter offered sporting performance, rock solid reliability, and was sharp looking in its day. 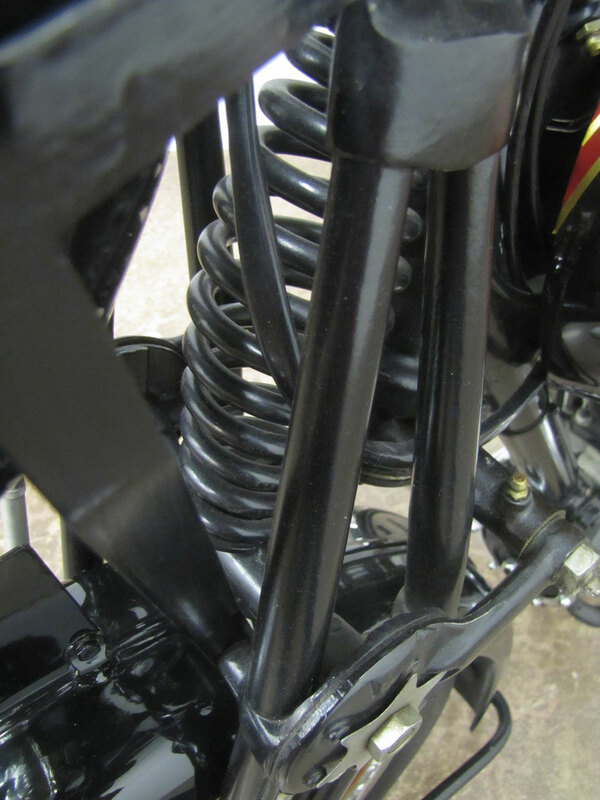 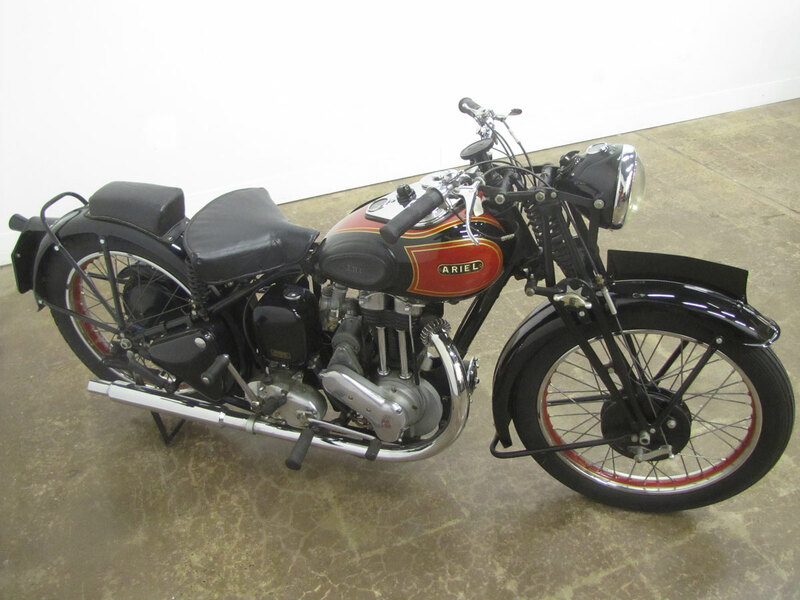 Trials competition champion Sammy Miller had great success with a 500 Red Hunter beginning in 1955 and soon purpose-built trails machines were designed. 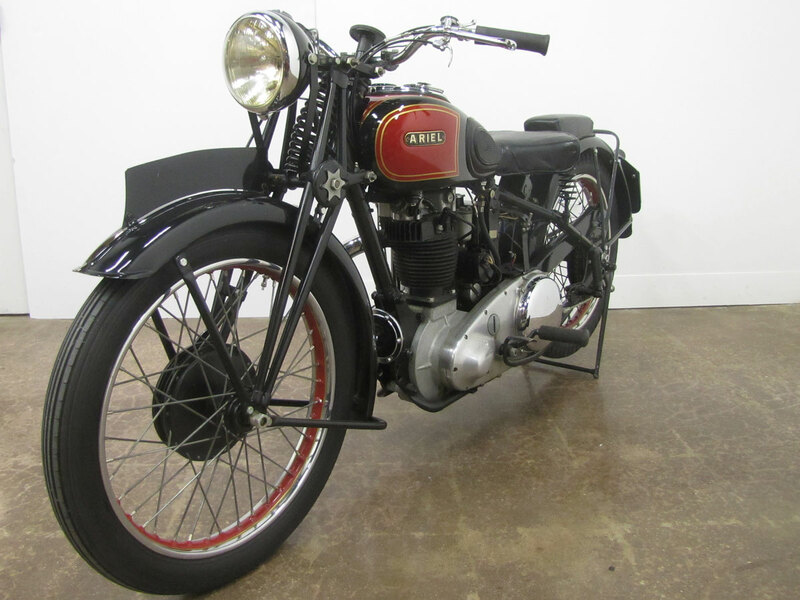 It is surprising to know that at one point Ariel bought Triumph, then Ariel Motors was sold to BSA late in 1944 before WWII was even over. 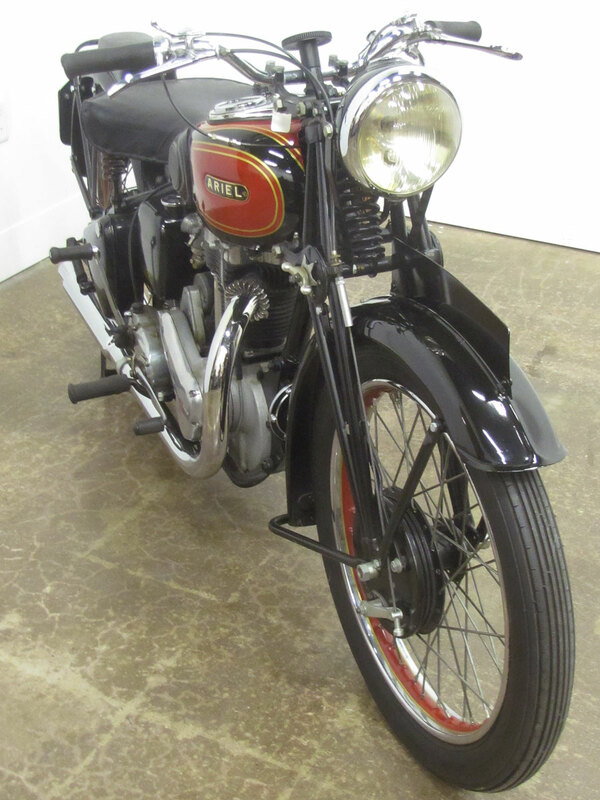 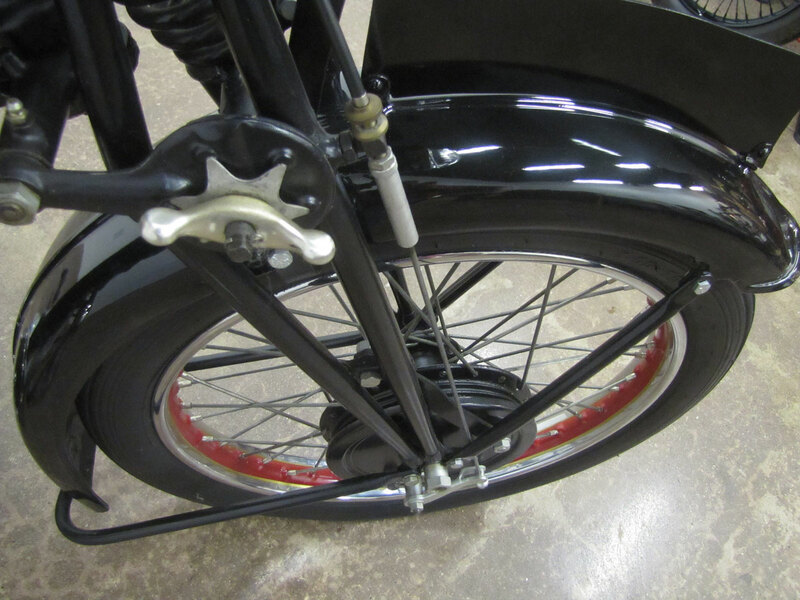 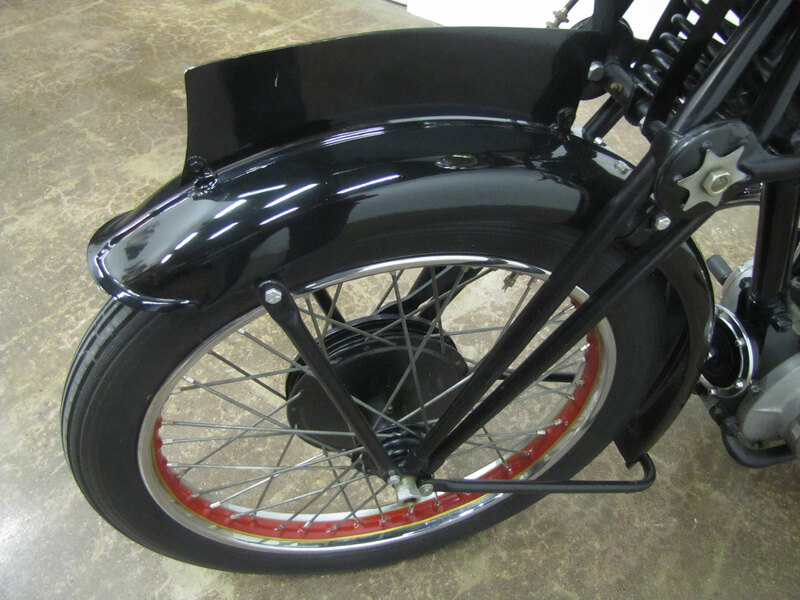 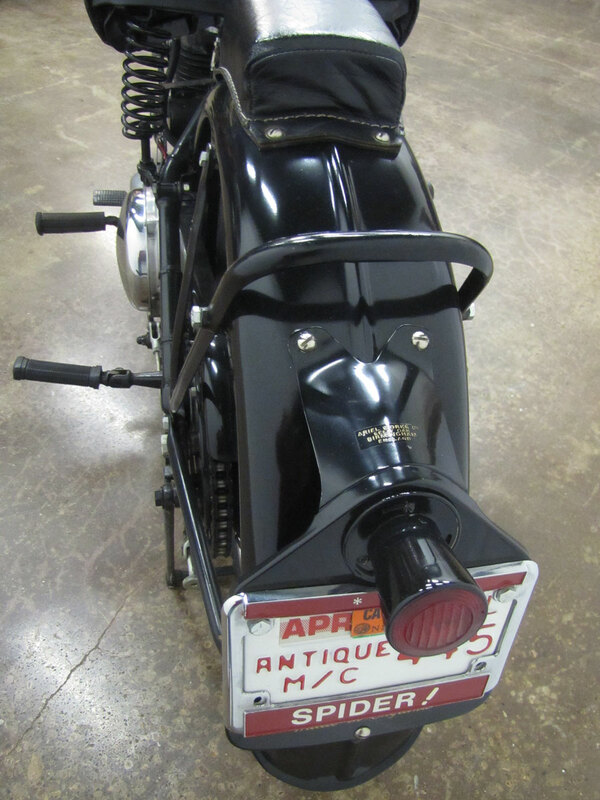 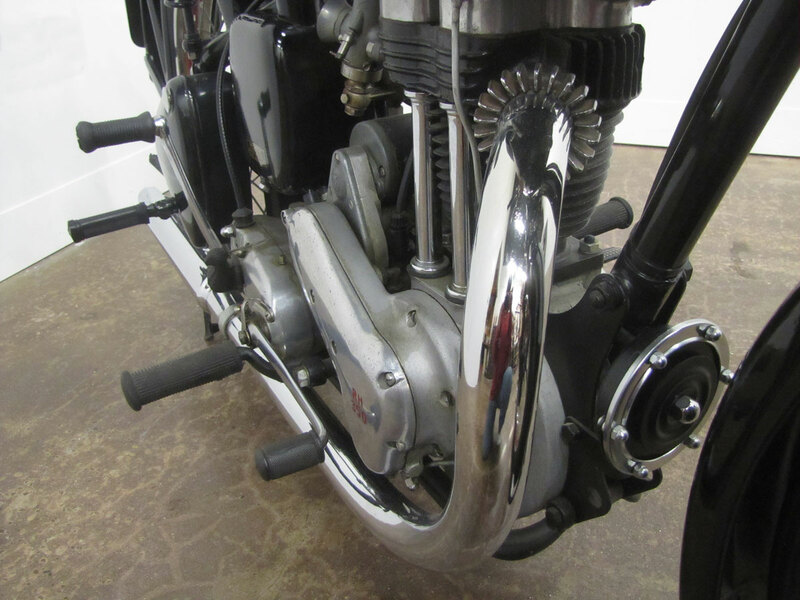 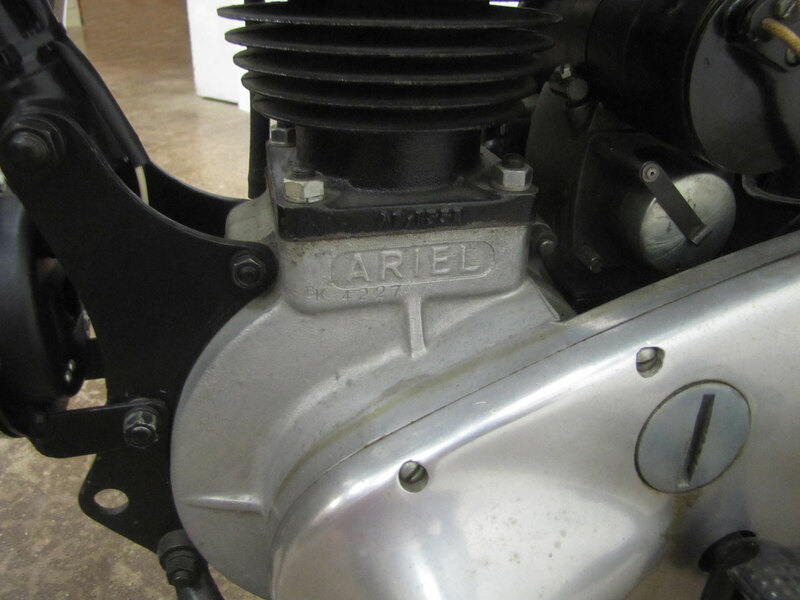 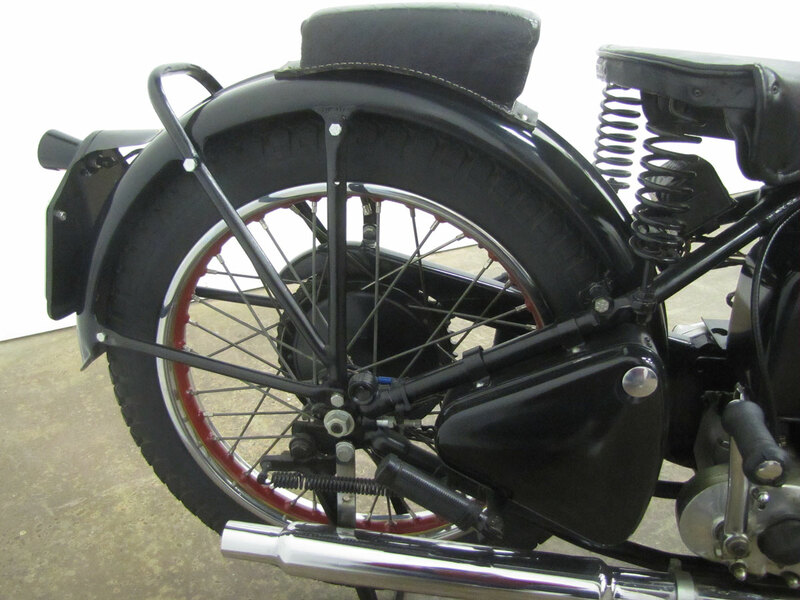 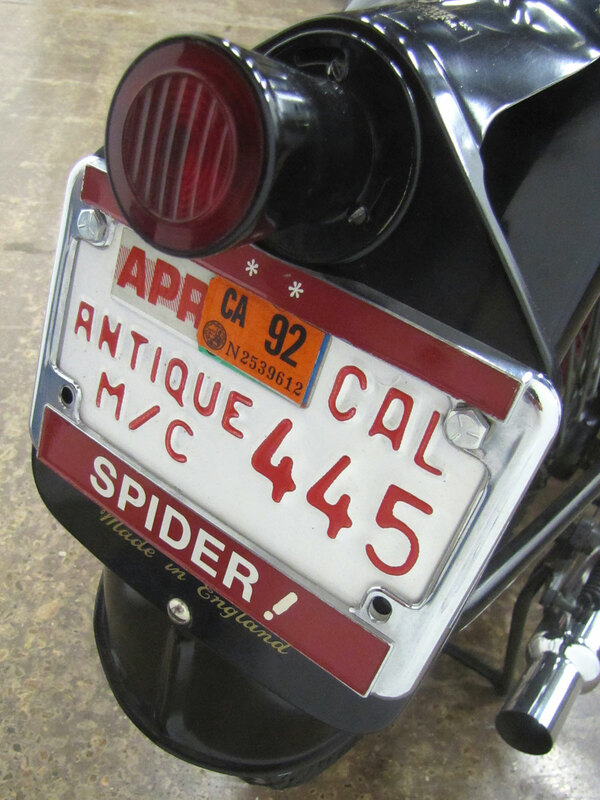 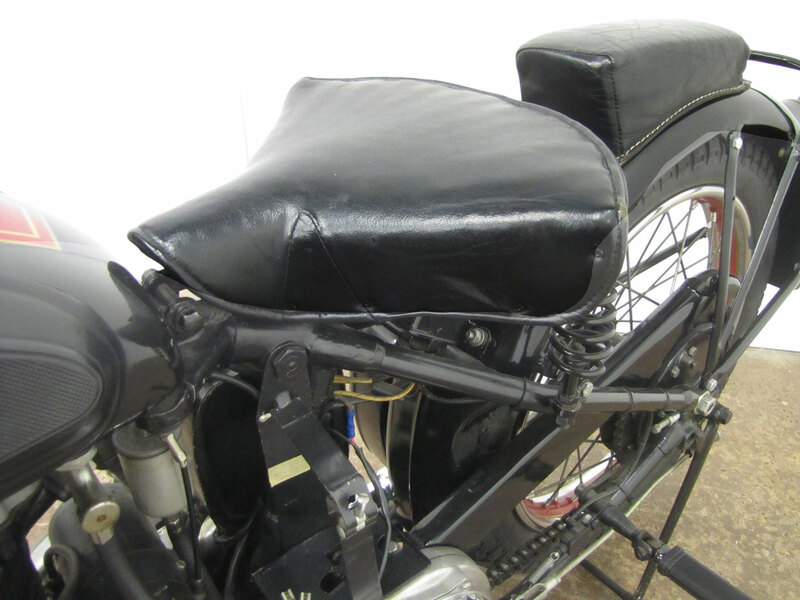 There are several Ariels on display at the Museum as well as a wide range of stock, custom and competition British bikes of many makes, some from very early in the 20th Century.